Get Positive Results With Weight Loss Supplements From Diverse Health! We are an alternative health office, and we offer a rediscovery of health and wellness for anyone who is interested in natural health and alternative medicines. Our patients receive personally tailored wellness programs that are specifically targeted to their needs using the least invasive, yet highly effective techniques and services. When it comes to our patients, we help them recognize the benefit of seeking an alternative route to traditional medicine - one that will help them not only achieve their optimal health, but maintain it. We're devoted to improving the quality of life by providing the safest, most effective, highest quality dietary supplements that are sold through health care professionals. Patients seeking treatment at Diverse Health Services are assured of receiving only the finest quality care through alternative health. Dr. R.E. Tent, D.C., Ph.D combines his skill and expertise that spans over 35 years to ensure patients get the best wellness care from Diverse Health Services. 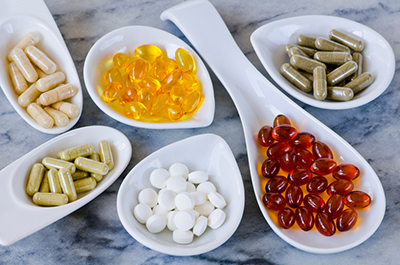 If you're interested in finding out which weight loss supplements would be right for you, contact us today to learn more about which supplement would be right for you!